Experience a unique and enchanting Saturday with members of the Bay Area Friends of Tibet (BAFoT) and the Tibetan Association of Northern California (TANC). BAFoT and TANC are pleased to invite you to our celebration of all things Tibetan in San Francisco. 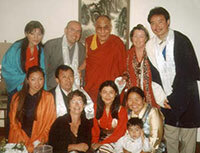 Discover the 3rd largest Tibetan community in the United States. Tibet Day is the Bay Area's annual tradition and celebration of Tibetan art, politics, culture, and MUSIC! Come enjoy the unique people and special culture of Tibet with us and celebrate BAFoT’s 25th Anniversary. Jane Bay will be giving a brief talk sometime between 12:30pm to 3pm at the 23rd Annual Tibet Day Celebration at Fort Mason. Jane will be available to autograph copies of her latest book, LOVE & LOSS - A Story About Life, Death, and Rebirth throughout the afternoon. All proceeds from the sale of LOVE & LOSS will be donated to the Bay Area Friends of Tibet (BAFoT), a non-sectarian, non-profit, tax-exempt 501(c)(3) organization. 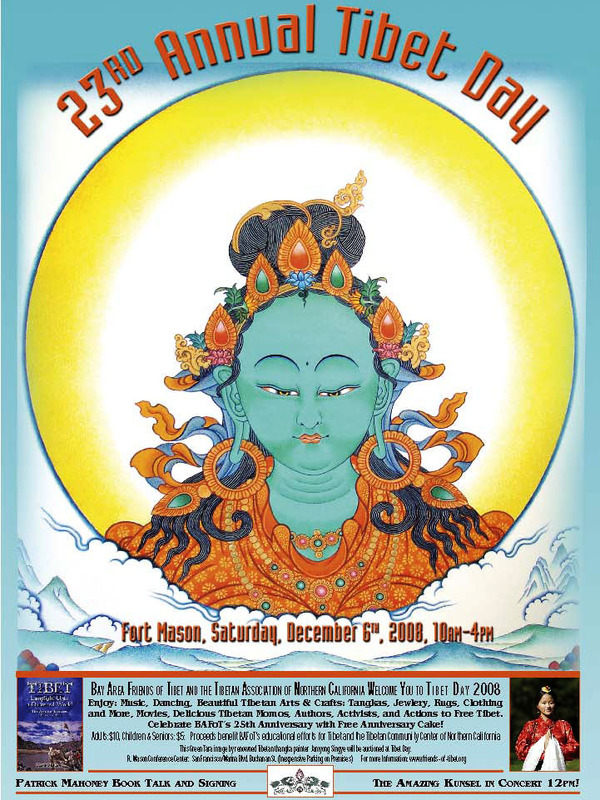 Come and experience a unique and enchanting day of all things Tibetan in San Francisco, the third largest Tibetan community in the United States. Tibet Day is the Bay Area’s annual tradition and celebration of Tibetan art, culture, politics and music. The world-renowned Tibetan child-star, Kunsel, will perform at 12 Noon and at 3:00 PM in the Golden Gate Room in Building A. Kunsel sings her own renditions of classical and contemporary Tibetan songs while playing traditional Tibetan musical instruments. Author Patrick Mahoney will speak about his new book, TIBET: Lamplight Unto a Darkened World, The American Delusion, a Parody of Life. He will be available to autograph it. BAFoT President Giovanni Vassallo will return from Delhi, India and give a briefing on his attendance at a Special International Tibet Support Group meeting facilitated by the Tibetan Government-in-Exile to brief the members of the worldwide Tibet movement of the present situation inside Tibet, the outcome of the preceding six-day special meeting of Tibetans in exile and to strategize, strengthen and to carry forward the Tibet movement. The 23rd Annual Tibet Day will feature delicious Tibetan cuisine, author presentations, Tibetan medicine and health booths, slide shows, and presentations of traditional Tibetan music and dance, including a performance by the Tibetan Association of Northern California Children’s Chorus. Hundreds of beautiful handicrafts, Tibetan thangka paintings, jewelry, clothing, rugs, and ritual objects will be on sale. There will be panel discussions, speeches, movies, and other educational activities and presentations about various aspects of Tibet and the Tibetan people. Free cake will be distributed to celebrate BAFoT’s 25th Anniversary. Proceeds from Tibet Day will go toward helping BAFoT continue to support education about Tibet and varied assistance to Tibetans, as well as towards the capital campaign project to establish the Tibetan Community Center of Northern California (TCCNC). The mission of TCCNC is to empower Tibetan-Americans of all ages to thrive in the United States, while promoting the continuity and development of Tibetan social, cultural heritage and artistic traditions. 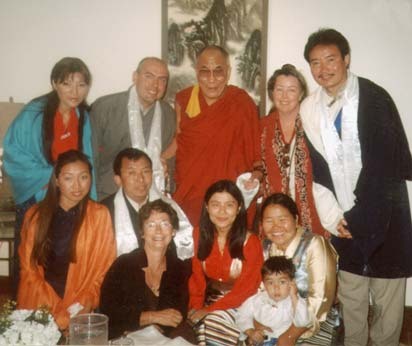 The center aims to provide a wide range of social services and educational, recreational, and cultural programming to the Tibetan and Northern California communities.